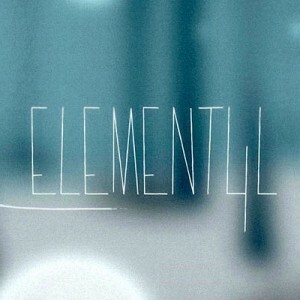 Element4l coming to PS VITA today! After a successful release on Steam, proud FLEGA member i-illusions (Dirk Van Welden) is now bringing its much praised game Element4l to Sony’s PS VITA platform. Element4l is an immersive and experimental platform game, with a strong focus on flow and smooth gameplay, wrapped in an exceptional soundtrack by MindTree. In Element4l, you control four elements which are bound together on a journey to shape life. Your only hindrances are nature and the sun. The game takes a different, experimental approach to classic platform games and challenges you to rearrange your reflexes. The state-­changing, physics­-based gameplay invites all ages to think logically, and reveals that pressing the right button at the right time, is often more rewarding than mashing buttons. Element4l is a challenge. The first time you play it, you will struggle… it feels a bit like learning how to ride a bike as a kid. The game has already enjoyed both critical and commercial success on Steam. User reviews have been unanimously positive and several major media outlets and YouTube influencers have recommended the game. Be sure to check out Element4l on your preferred platform. You won’t regret it!